So, here we are in the middle of September. Fall is definitely on its way. The changing of seasons is always a little “bittersweet” for sure. Who doesn’t love the summertime? We seem to forget that summer doesn’t last forever. Once we see the signs of the season changing, we start to regret not enjoying the time we had for summer. Usually, (right around Labor Day) the harsh reality begins to take grasp. Winter is on its way. The change of season is a natural time to “reset” things. What a natural reminder to change the batteries in your smoke detector or purchase fuel for your home. Maybe even get ready for some new chores around your home. It can also serve as a great reminder that nothing lasts forever. Take for instance the “unsung hero” of your car. Car Batteries. Yep, that giant square block of plastic with a few terminals attached to giant wires. That little block of “stuff” is stored energy. It’s electricity. It’s pretty important. In reality, this important piece to your vehicle doesn’t last as long as you think. You are taking advantage of it every day. 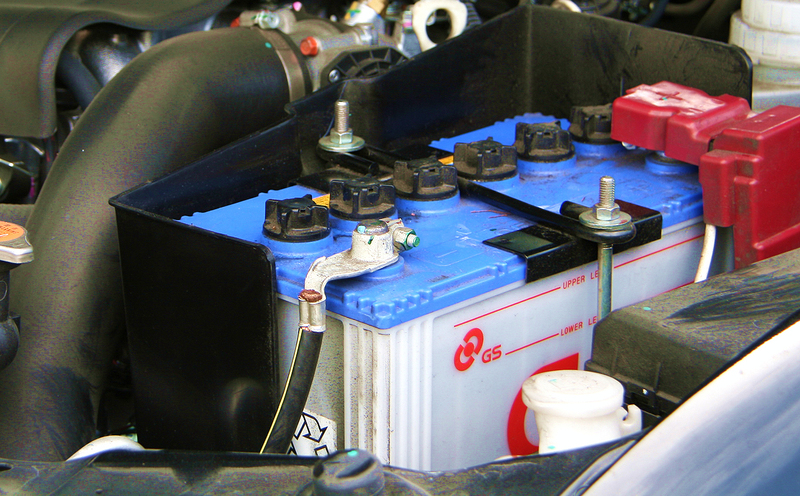 On the average, a car battery is designed to last around 3 to 5 years. Has your battery been in your car longer than that? Mine might be. Luckily, how you drive can drastically affect your battery life. Also, how you expose your battery makes a big difference too. For example, if your battery takes a “beating” it might not keep on ticking. The conditions your battery are exposed to shorten the life of your car battery. Luckily, DePaula Chevrolet offers plenty of services that help the health of your battery. At least ask us about a battery check-up when you stop into our service department. It is a simple and fast diagnostic check. We will estimate the temperature that you can expect your battery to fail. We can also give you some idea how much battery life you have left. How does your car battery work? Let’s start off by saying…..we all know the general idea behind how a battery works. It would be pretty difficult to find someone in the United States that isn’t familiar with a battery of some kind. Batteries are all around us. From children’s toys to hearing aids for the elderly. Batteries are not some “hipster” fad. But, car batteries work in a more interesting way then the battery inside your cell phone. Without getting into all the “science” of how the battery works, let’s go ahead and keep it basic. Car batteries provide a little jolt. That little jolt of electricity is powerful. It actually is necessary to power all the electrical systems in your car. Think of the amount of responsibility weighing on your car battery! Talk about a stress test. Without battery power, your car, simply won’t start. How upsetting is that? Really, one of the most heart-sinking feelings is an unexpected “dead battery”. What the heck is going on inside that little battery box? Science! More like chemistry…..but science! Mr. Wizard stuff. A chemical reaction! Without this reaction….don’t expect acceleration! Simple as that. Do you want to get “technical”? Ok. Here is the science behind the battery. Lead oxide plates interacting with sulfuric acid in a car battery is what creates the electrical current used by the car’s starter and electrical system. WOW. Science! So basically, your battery makes a chemical energy reaction into the electrical energy that powers your car and delivers a little buzz of electricity and voltage to the starter. The starter spins….and guess what that does. Yeah, starts your car. Most people think this is the end of the job of your car batteries. Nope. It needs to keep the energy flowing. This is where the alternator comes into the picture. Let’s put on our Mr. Wizard hats again. Inside the alternator is something called a stator. This is a set of wire coil windings. Inside the stator is a rotor. Guess what this does? It rotates! The rotor is an electromagnet. This magnet has a wee little bit of electricity supplied by more chemical reactions with the help of carbon or copper-carbon brushes (contacts) touching two revolving metal slip rings on its shaft. Neat. So, here is the cool part. The rotation of the electromagnet inside the stator actually creates more electricity inside these coils. Do you like rock music? Have you ever heard of the rock band AC/DC? The electricity made inside the coil is called alternating current (or AC). The direction of flow changes back and forth every time the rotor turns. In order for it to be useful, it has to be changed. It has to flow in one direction only. That is called direct current (or DC). In scientific terms, Angus Young is in a band called “Alternating Current / Direct Current”. So, all the AC juice coming from your alternator is converted to direct current by a set of diodes that allow current to flow through them in one direction only. That makes it usable DC current (12 volts) that is used to power all the electronics in your car. This current is also passed back to your battery to keep it charged. Lots of things are going on and a lot of things can break down. Also, with the all the chemical reactions going on in the battery….that can take its toll on the chemicals in your battery and eventually…..they simply cannot give any kind of chemical reaction. This is when you find yourself with a dead battery. Having a dead battery in warmer months stinks but not as bad as confronting the “dead battery” in the dead of winter. It can also be downright dangerous. Remember, no battery….no engine. No engine…no heat. You get the idea. So, like a Boy Scout….be prepared. Now is the time to have your battery checked and serviced. DePaula Chevrolet does not want to see you dealing with a dead battery. We have all the tools and knowledge needed to make sure you have a safe and properly performing battery. If we discover that you and your battery may not have a long lasting relationship together…we will go through the options you have. There are many types of car batteries to choose from. We will go through the manufacturers recommendations with you and help you select the best battery for your specific needs. So, let’s review: A car battery is used to start the car, power the lights, and more. When you drive, your engine constantly recharges the battery. But remember….these batteries have a bit of a “shelf life” and you will need to replace them someday. It really isn’t as simple as picking a battery off the shelf. Different sizes and cranking amps are important. If you notice any difficulty starting your car, that could be a warning sign from your car. Don’t ignore it. Hopefully, you take our advice and don’t overlook the little unsung hero under your hood. Your car battery!